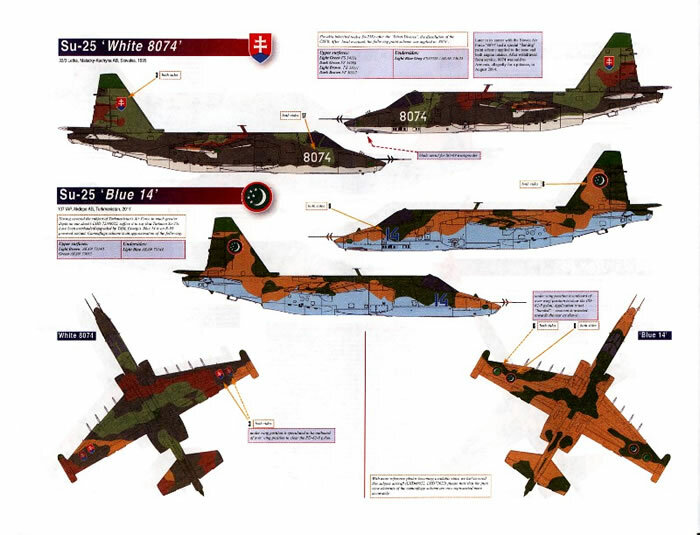 A wide range of both interesting and obscure Su-25 operators, with detailed supporting material and modelling notes. The recent release of the Trumpeter 1/32 Su-25 along with re-releases of the Kopro kit by both them and Eduard in enhanced form, there was a definite need for new and interesting Su-25 decal options. 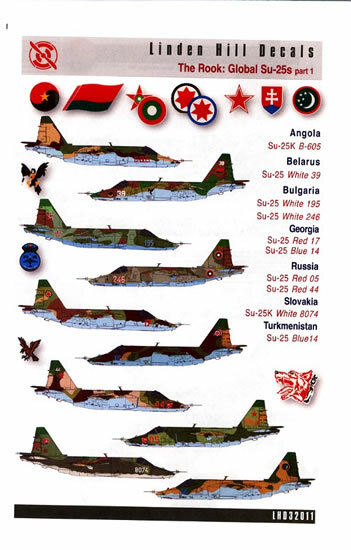 Linden Hill has produced a sheet covering a range of Su-25 operators that highlights both its widespread deployment and wide variety of schemes, which fills this gap admirably. This sheet is the first of a proposed 3 part series so if the subject you want is not here then it is likely to appear in a later release. 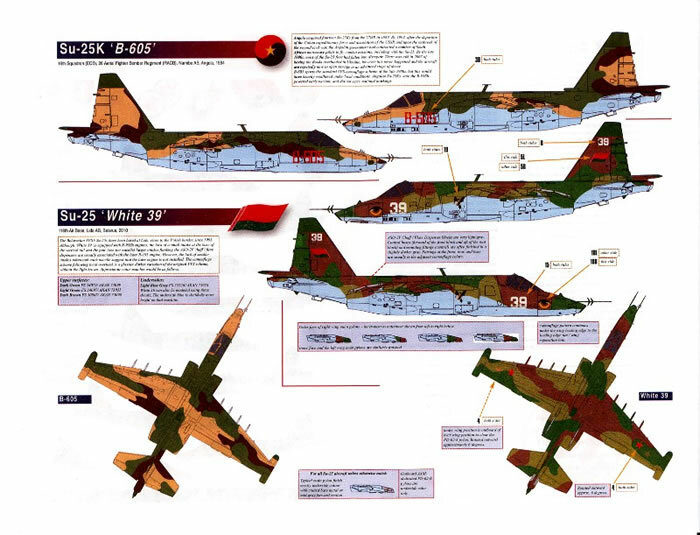 The Su-25 (ASCC reporting name FROGFOOT) was the Soviet Union’s answer to the development of the A-10 Thunderbolt battlefield support aircraft by the United States in the post-Vietnam period. Often compared to the Northrop A-X competitor, the A-9, the Su-25 was deployed widely by Soviet and Allied Air Forces, earning the nickname “the Rook” during its first combat deployment to Afghanistan in 1980. Following the fall of the Soviet Union the Su-25 was widely exported and is often used in the small wars that have characterised the modern era, thanks to its rugged design and ease of operation. This sheet, the first of three planned by Linden Hill according to their website, highlights this widespread deployment, with options covering seven countries including Angola and six European and Central Asian Air Forces. 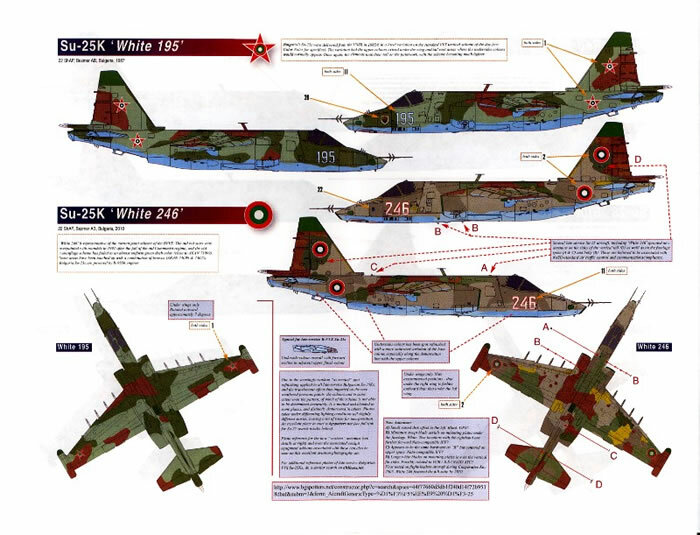 Turkmenistan – Su-25 Blue 14 2011, which is provided as way to update Linden Hill’s previous release covering the Turkmenistan Air Force as these airframes have been overhauled and updated since the release of the earlier decal sheets. As is usual with all Linden Hill sheets covering Russian, WARPAC and Soviet Era subjects all the schemes are well documented with the instructions including notes on the camouflage shades used and even weathering notes to achieve an accurate replica. 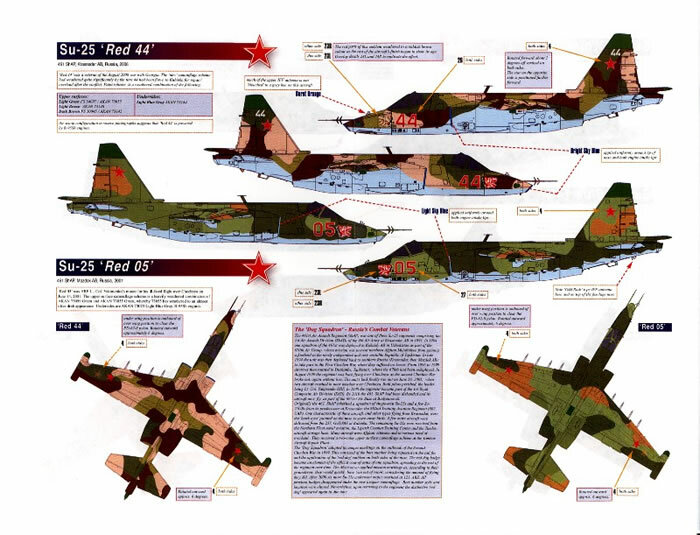 Of course some of the colour call outs are noted as approximations due to the lack of specific information, but given the tendency for Russian aircraft paints to weather quite dramatically, it is unlikely that any scheme applied would be more than a reflection of the original. 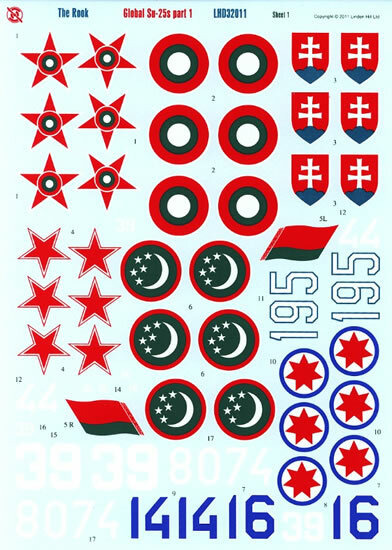 Also given the scarcity of references related to Central Asian Republic and FSU air forces any guidance on colours is both very useful and welcome. 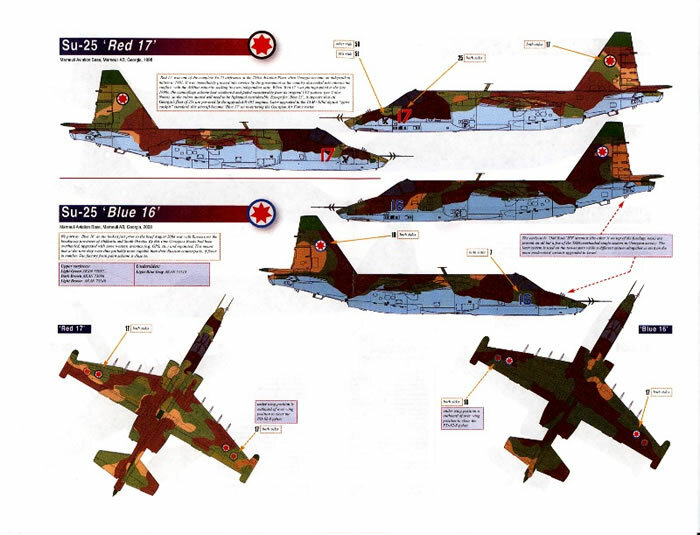 The instructions are spread over 6 A4 full colour pages, with not only the schemes but also small details and modifications needed for each subject so that there is no excuse not to get these right. One thing to note is that unlike previous releases, there are no reference photos included in the instructions, a slight criticism only. 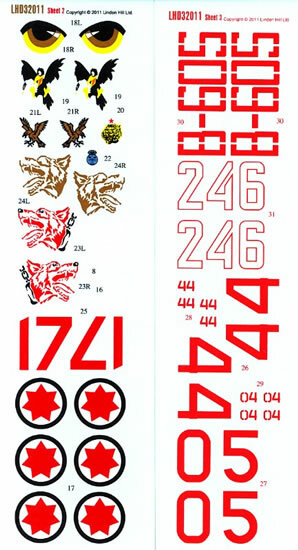 I have used several of Linden Hill’s earlier sheets and have found the decals performed flawlessly without any special techniques required to get the best from them.